MIAMI, FL – June 2018– Holliday Fenoglio Fowler, L.P. (HFF) announces the $23.675 million sale of 900 Broken Sound Parkway, a 115,986-square-foot, Class A office building in Boca Raton, Florida. 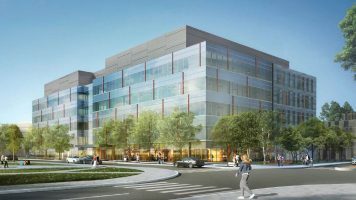 The HFF team represented the seller, a partnership between Mainstreet Capital Partners and an investment fund managed by The Davis Companies, a Boston-based commercial real estate development and investment firm. After a robust marketing process, HFF also procured the buyer, a partnership between NAI Merin Hunter Codman, Inc. and C-III Capital Partners. The property is located at 900 Broken Sound Parkway within The Park at Broken Sound, a vibrant, 700-acre mixed-use commercial/residential park. This location is adjacent to more than 1,000 newly-built luxury residential units and is in close proximity to numerous dining, retail, and lodging amenities, including Fresh Market and Lifetime Fitness and features 515 parking spaces. 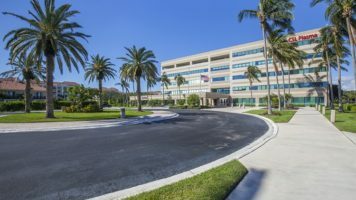 The office building also offers a hub of connectivity to the entire South Florida region with direct access to Interstate 95 and the Florida Turnpike and easy accessibility to Boca Raton Airport, Palm Beach International Airport and Fort Lauderdale International Airport. Originally built in 1989, the five-story property was most recently renovated in 2015 and is 79.4% leased to tenants, including CSL Plasma and Goesyntec. The demographics of the area immediately surrounding the property feature an average household income exceeding $117,000 and more than half of the population holds a bachelor’s degree or higher. The HFF investment advisory team representing the seller included senior managing director Hermen Rodriguez, senior director Ike Ojala and director Tracey Goo. “The Boca Raton location, high-quality tenancy and upside through leasing attracted a wide variety of domestic and foreign bidders,” said Rodriguez. “The ongoing transformation of The Park at Broken Sound into a true mixed-use live-work location has resulted in strong leasing activity in the market and 900 Broken Sound is well positioned to benefit from that,” added Ojala. Mainstreet Capital Partners is a real estate investment and management firm specializing in office and industrial acquisitions. Established in 1999 by Paul J. Kilgallon, Mainstreet Capital Partners seeks to align itself with investment partners by sourcing investment opportunities in the southeastern and southwestern United States. For more information, visit mainstreetcapital.com. The Davis Companies is an integrated real estate investment, development and management firm headquartered in Boston that has invested more than $4 billion in gross asset value through real estate equity, debt and fixed-income securities. A combination of capital markets, development and management expertise allows The Davis Companies to nimbly tackle complex opportunities. Directly, and with its valued partners, The Davis Companies currently owns a real estate portfolio of approximately 12 million square feet of office, multifamily, retail, hospitality, light industrial, healthcare and bioscience properties across the Eastern United States. For further information, visit www.www.thedaviscompanies.com. NAI/Merin Hunter Codman is the largest commercial real estate services firm in Palm Beach County, Florida with over three decades of experience advising clients on strategic acquisitions and dispositions and providing landlord representation, tenant representation, property management and construction management services. The firm has expertise in all commercial property sectors including office, retail, industrial, multifamily, hotels and land. C-III Asset Management LLC’s parent, C-III Capital Partners LLC, is a leading real estate investment management and commercial property services company engaged in a broad range of activities. As one of the largest special servicers of commercial mortgage backed securities in the U.S., C-III Asset Management LLC utilizes its real estate expertise to resolve defaulted CMBS loans for over 130 CMBS trusts comprising $79 billion of commercial real estate loans. C-III manages approximately $4 billion in funds and structured product vehicles that focus on commercial real estate equity and debt investments, including nine real estate debt funds, four real estate equity funds, one hybrid debt and equity fund and a private REIT, along with CRE-CDOs and ReREMICs. In addition, since its founding in 2010, C-III Capital Partners, through its various subsidiaries and affiliated entities has originated $5.2 billion in mortgages and manages funds that have acquired approximately $10 billion face amount of CMBS bonds. Through U.S. Residential, its wholly-owned subsidiary, C-III manages over 40,000 multifamily units nationwide. With the NAI Global brand also owned by C-III, the company’s member firms have more than 375 offices worldwide, with over 6,700 professionals, managing over 380 million square feet of property. C-III’s online marketplace, Real Capital Markets, has closed $1.7 trillion in real estate asset and loan sales since inception in 1999. C-III is headquartered in Irving, Texas, and has additional offices in New York, New York, Greenville, South Carolina, and Nashville, Tennessee. Learn more at c3cp.com.